A beautiful raspberry pink tone perfectly highlights the color of the skin. In addition, the cheerful color will bring in a good mood not only for you, but also the people who accompany you. Comfortable and fashionable pattern allows you to create many styles. Depending on the accessories you choose, you can keep its sporty easy look or create a style that emphasizes its urban chic. On colder days you can wear it with leggings or thicker tights. The raspberry dress is not only a fashionable and comfortable dress. This dress was designed for mothers who are breastfeeding. 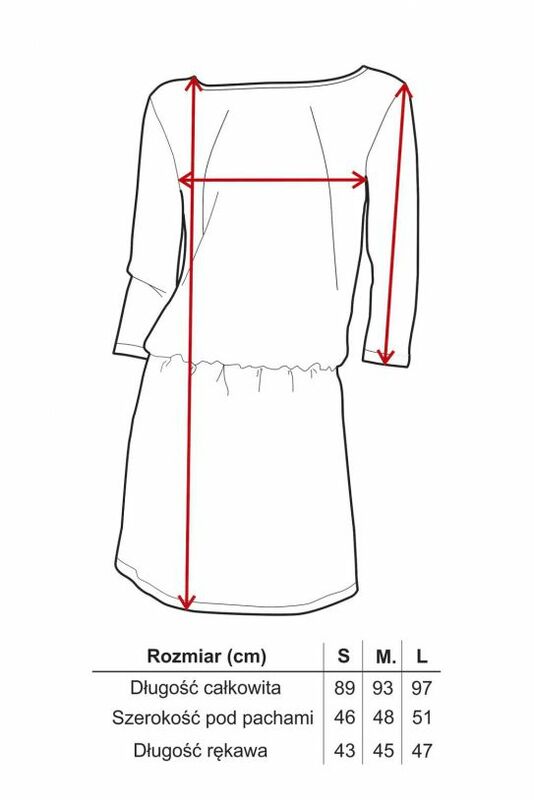 Thanks to zippers sewed in around the neckline you can quickly and discreetly reveal the breast. This will allow you to feed your baby, no matter where you are. What about the raspberry breastfeeding dress is so amazing? Functionality - The dress is designed for nursing mothers, but can also be worn after the end of the period.